“We disagree on who came up with what,” Farrell said. Either way, their eyes lit up at the idea. The next day, they ordered a home brewing kit online and began making beer for the first time. 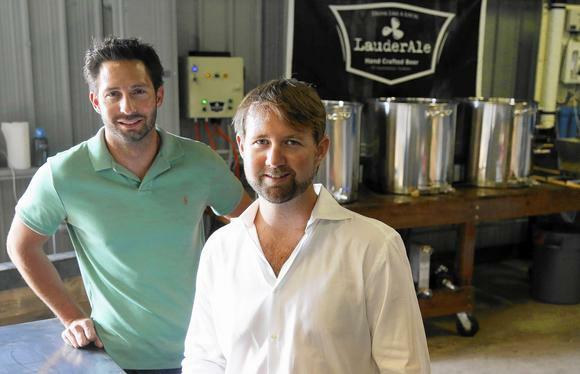 Fast forward a year and half, and the pair have now opened a small brewery called LauderAle. Farrell and Jones, both 30 years old, began pouring their hand-crafted brews Thursday at 3305 SE 14 Ave., near Port Everglades. Their plan is to produce about 500 gallons of beer per month, including their Lake Silvia Saison, Port Everglades Porter and George English Ale.